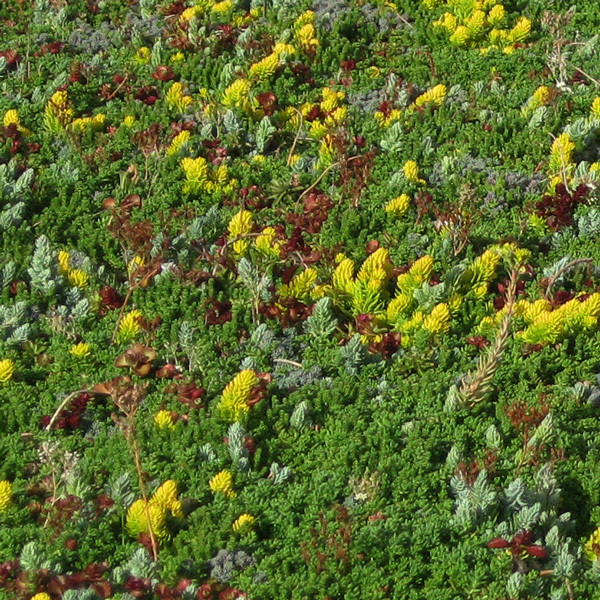 A delightful assortment of various different types of low-growing Stonecrop species and selections. 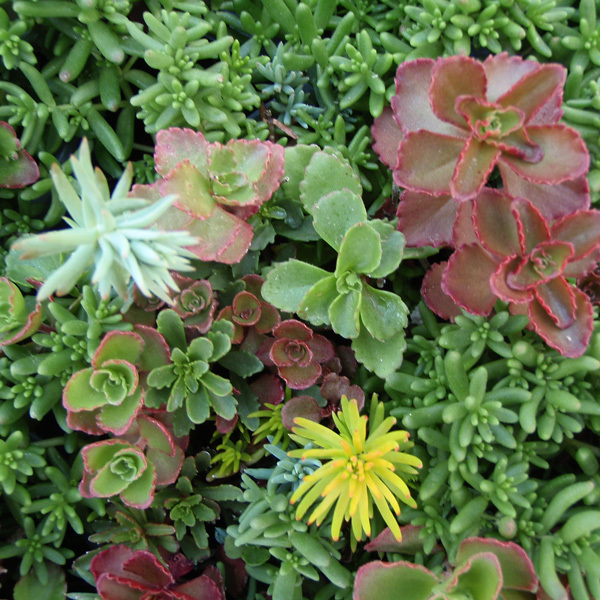 These form a carpet of succulent and often evergreen leaves in a range of colors. Clusters of star-shaped blooms are in pastel tones during the summer. A good choice for hot sunny areas and dry soil. Useful as a low groundcover, for edging or in the rock garden. The tapestry effect of different Stonecrops growing together is always delightful, and they combine nicely with other perennial succulent plants such as Hen-and-chicks (Sempervivum) or Hardy Ice Plant (Delosperma).